If I had my own personal GNR list, this place would be at the top of the list. I think its great French bistro food but I recognize that loving a restaurant often has as much to do with your personal history with the place, how you were treated, the people you were with, if there was "magic" in the way a great night out can be, as much as whether the food is objectively great. I am not sure if other people will think its great food, but damn, I love this place. 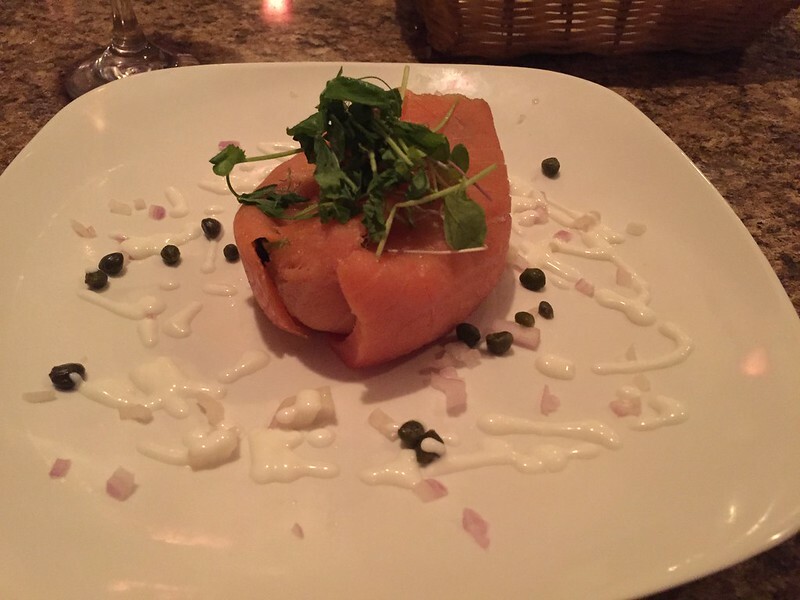 The Saumon Fumee with cream fraiche, capers, and brioche is a great start (I have honestly never enjoyed salmon as much as this preparation). The Moules Mariniere is also a really great choice. The Poulet Roti and the Braised Beef Short Rib are very good. 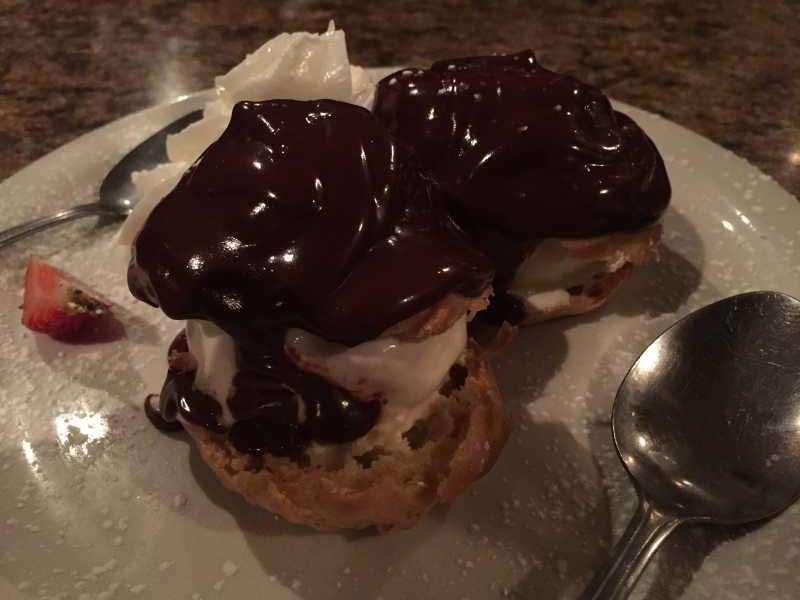 The profiteroles are terrific. The staff would be considered too friendly in Paris but too remote in Chicago. It's BYOB. There are a thousand places like this in Paris. Go there. I hope you love it too. Thanks for your articulate, captivating post! I like Chez Simo a lot, too. It's been too long (more than a year) since I've been there, but it's really a neighborhood gem. I'm happy they seem to have found a modicum of success in that spot (although I really loved brunch at the previous joint, Ravenswood Grill/Cinnamon Cafe, as well). I'm surprised I haven't posted about Simo before. I love the place. My wife and I are there on average once every three weeks. The fact that they're BYOB is what initially drew me there, but it's the consistently high quality of the food that keeps me coming back. I've never had one clunker of a dish in all the times I've been there. Chez Simo is in my regular rotation, and one of my favorite BYOBs. 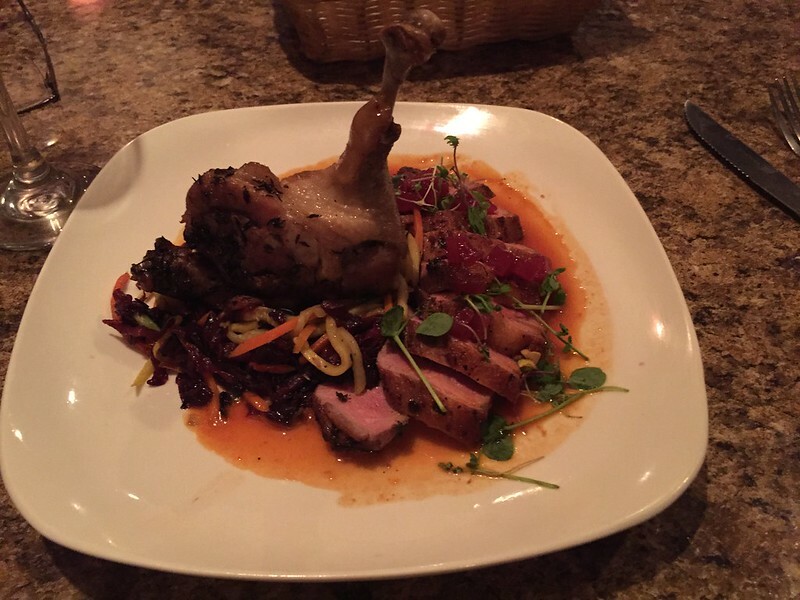 The menu is full of French bistro classics, all well executed with care. 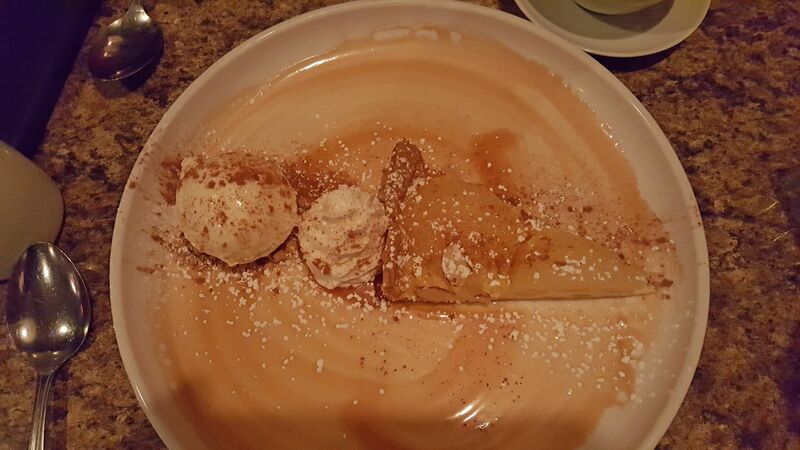 You can't go wrong with ordering anything on the menu. I love the smoked salmon appetizer and the duck is one of the best preparations around. 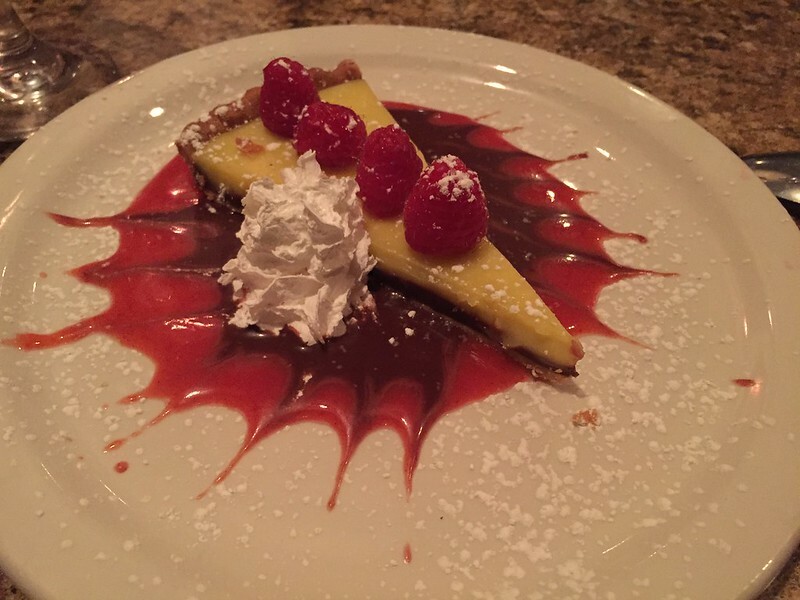 My wife and I had another great dinner at Chez Simo bistro. They're one of the top French bistros in the city IMHO. 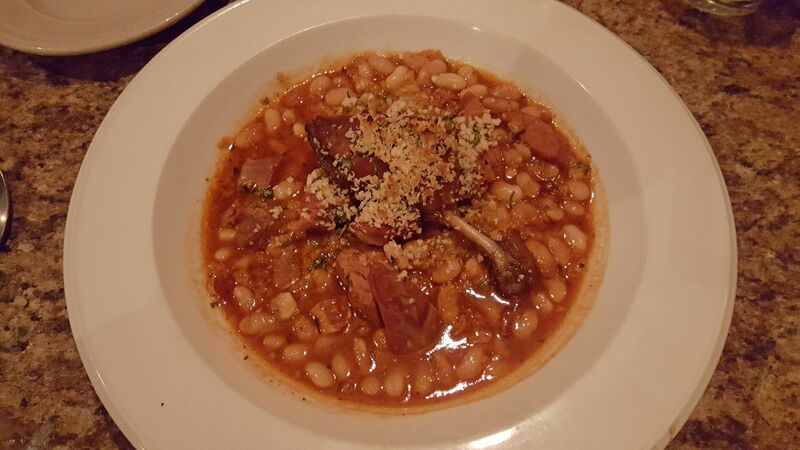 Great Cassoulet for the season. 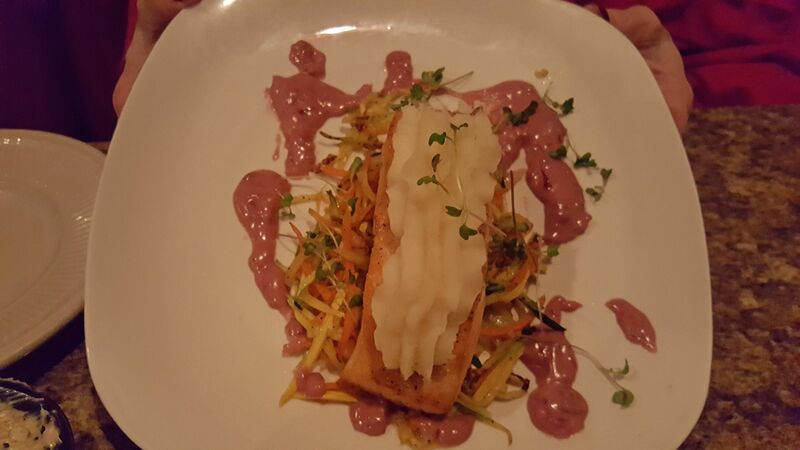 Jan had the salmon with Beaujolais Nouveau sauce, and we shared the pear tart with vanilla ice cream sprinkled with cinnamon. I really dislike negatively posting on a restaurant that others really enjoy but my experience at Chez Simo was not pleasant. We went last week early on a Friday night. There were maybe 2 other groups in the place and they all seemed to be speaking French with the waiter, which made me very excited about the food. Unfortunately, the food kind of sucked. I had onion soup, which was served piping hot -- a nice plus. However, the broth was extremely sweet and had a metallic after taste that really was not at all pleasant. The onions were fine but the cheese -- I'm not really sure how to describe the cheese. It was described as being gruyere -- but the melted cheese solidified in a way that was grainy and really kind of hard to swallow. It was the oddest thing I've ever experienced with a french onion soup. Really a bummer. Both my dining partner and I ordered the steak frites and these "steaks" were very sub par. His was medium and served that way -- I ordered rare and it was raw. That in and of itself is not a big thing -- often when I order rare meat, I get raw. I usually just send it back. But this steak's flavor was not at all good. It seemed like a utility meat. It looked like utility meat (i could not discern exactly what cut it was) and it certainly tasted that way. I didn't send it back because I just couldn't stomach it. The "frites" were pretty much exactly like those potato strips you get in a can. This is not that unusual in a bistro but they weren't tasty. My dining partner thought that the butter on top of the steak was nothing but onion but for me it helped mask the nasty taste of the meat. The waiter was very chatty and not at all unfriendly -- but I asked for a lemon and instead of getting one he decided to discuss the history of France with another diner and since they were right behind me, I got to listen to several centuries of history while waiting for my lemon. About 15 minutes into this, I turned around and smiled and asked if he could possibly get my lemon -- and he replied "Absolument, Madame" and disappeared for another 10 minutes. When at least he reappeared, he told me they didn't have any and would I care for a lime. It was ten minutes later for that. Needless to say, we won't be going back to Chez Simo. And I'm sad about that -- I wish it had been a much better experience. I'm very surprised at your experience. Every dinner I've had there has been excellent. I routinely order the onion soup and steak frites, and have not had the experiences you described. I'm there probably once every six weeks on average. I've had the onion soup, and I also thought it had a sweet aftertaste to it. I was thinking maybe they put in some Calvados or sweet-ish liquor in it. I didn't notice anything weird with the cheese. I went a second time, but don't recall what we had, other than things were good, not great. I wonder if recognized regulars get better service or food. I went here with a friend, hopes high, before a performance one night. Nothing was horrible, but nothing stood out as actually good. Most memorable part was that the beef of my steak frites was served cold. The Maitre d'Hotel butter stayed cold and unmelting on top of the cold meat. Neither of us has felt a need to return. I wouldn't think that it has anything to do with someone being a regular, because the food is just as good today IMO than it was when I first started going there. Certainly every restaurant can turn out a clunker dish, but I would expect them to be responsive if you complained about it and asked them to make it right. I'll be at Chez Simo tonight, so will see how it turns out. Yes. I could see how being a regular might affect how a server relates to you, but not the food. Servers don't put their orders in to the kitchen with comments like "and this time make it a good one because it's one of our regulars". I agree that certain aspects cannot be adjusted by the kitchen, regardless of who the diner is. But many key aspects can be, including plating, portion size and quality, meat doneness, and food temperature. I think it's a bit naive to think that kitchens don't have some discretionary control over the plates that get served. I'm not saying that's the case at this particular restaurant but to say it's not possible isn't accurate, either. That's really not how this place operates. I've never met any of the chefs. As far as service, the vast majority of the time, the server is Simo himself. He's about 5'10" with dark hair and a very noticeable French accent. So if that's who your server was, it was the owner. I know that Simo was out for a couple of weeks or so mid-to-late July, on vacation. He made the mistake of being out of town on Bastille Day, which is easily their busiest day of the year. The place was a bit of a madhouse in the front of house, but the food coming out of the kitchen was perfect. Since Simo wasn't there, and I had never met the people running the front-of-house, there wasn't any secret code that got back to the kitchen to say "make these plates good". Anyway, I'm going to mention it to Simo tonight that he'll want to make sure he's in the restaurant every Bastille Day. John Danza wrote: That's really not how this place operates. I've never met any of the chefs. That's not necessarily relevant because a good server -- and one to whom you're known -- can easily alert the kitchen that you are in the house, as well they should. Since you typically bring wine and (I'm guessing) your own stemware, I'm guessing they would consider you an important customer to satisfy, as well they should. I feel like I started a tiff here that I didn't intend. I love bistro food. I was providing a data point [backing up others] that I'd had a disappointing meal here and have little desire to return. I'm glad John D. has good experiences here. I wish I'd had one, too. Giovanna wrote: I feel like I started a tiff here that I didn't intend. No tiff from my perspective - just talking, though admittedly following a tangent. That's what we do here. I hope no offense was taken. Chez Simo is one of my favorite BYOBs. 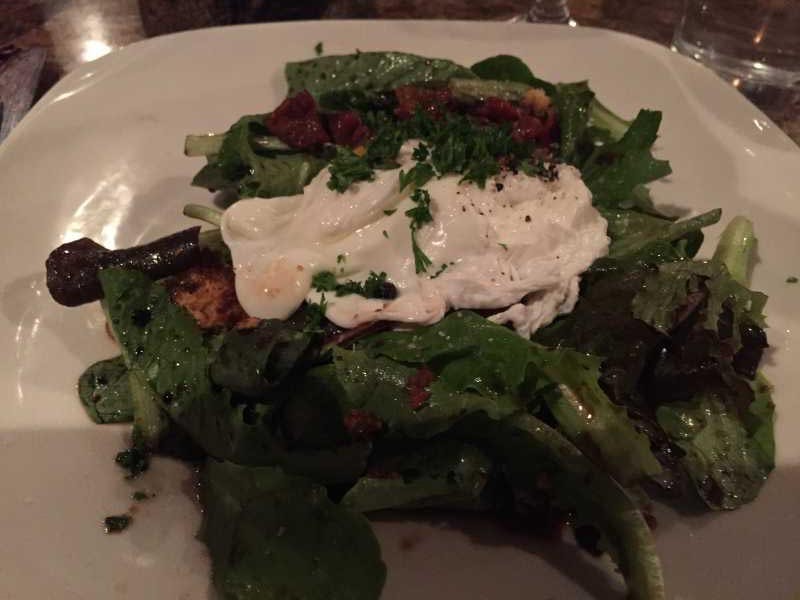 The place is charming, the service is warm and friendly, and the food is consistently excellent. So I'm not the only one that starts with dessert and ends with salad? The GP wrote: So I'm not the only one that starts with dessert and ends with salad? Not that there's anything wrong with that I obviously have a few things to learn about the software, because I posted the photos in the opposite order. Now I know. Thank you for posting the pictures. Most of the pictures you've posted over the past few days, here and on other threads, were displaying upside-down (a vexing tech issue we have been unable to resolve), so I copied your pictures to my computer, aligned them correctly, uploaded them to my personal ftp site and edited your posts so that they would display correctly. It's quite possible that in my hurry to get this accomplished, I altered their order. If so, I apologize. I've gone back into your post and rearranged the pictures in a more traditional order. If they're not how you want them now, you can edit the post. Or if you want me to do it, please let me know. Thanks for that Ronnie. I did not intend to create more work for you. I posted from my phone rather than my computer because it seemed easier. I will post from my computer using Flickr going forward. FrankP wrote: Thanks for that Ronnie. I did not intend to create more work for you. I posted from my phone rather than my computer because it seemed easier. I will post from my computer using Flickr going forward. Please post images in whatever manner is easiest for you. We'll do our best to monitor the shots, make sure they're displaying correctly and adjust them if necessary. If you post or see shots that are not displaying correctly, please send a PM to me or any of the other Mods and we'll repair them asap. And again, our long-term goal is to solve the problem but so far, it's been really difficult to diagnose. My wife and I recently had yet another lovely meal at Chez Simo. Something about the colder weather makes the bistro classics sound even better than usual. The onion soup, steak frites and a braised lamb shank with demi glace and couscous were all fantastic. The place was surprisingly full for the middle of the week and service was accordingly a little slow. 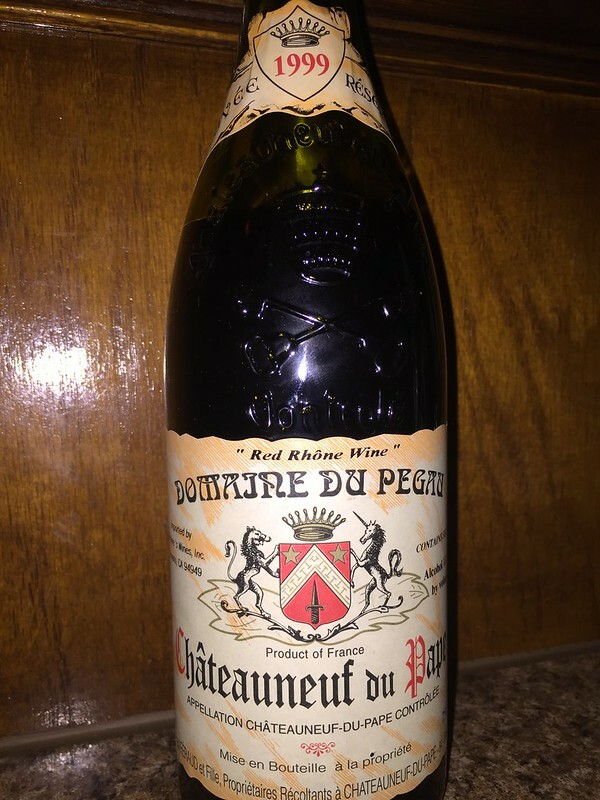 But a decent bottle of (BYO) Cotes du Rhone helped the time pass and the slow service made it that much easier to believe we were back in Paris for a moment. 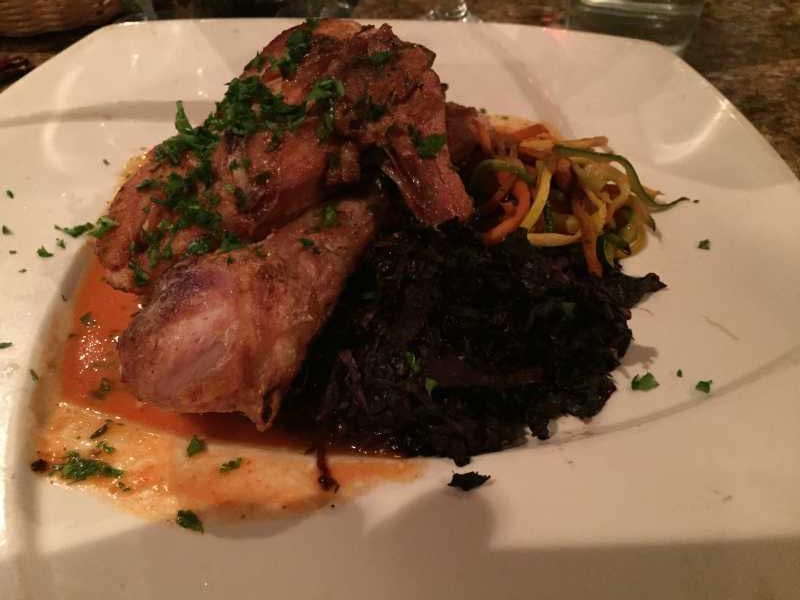 Had another lovely meal at Simo Bistro last night. 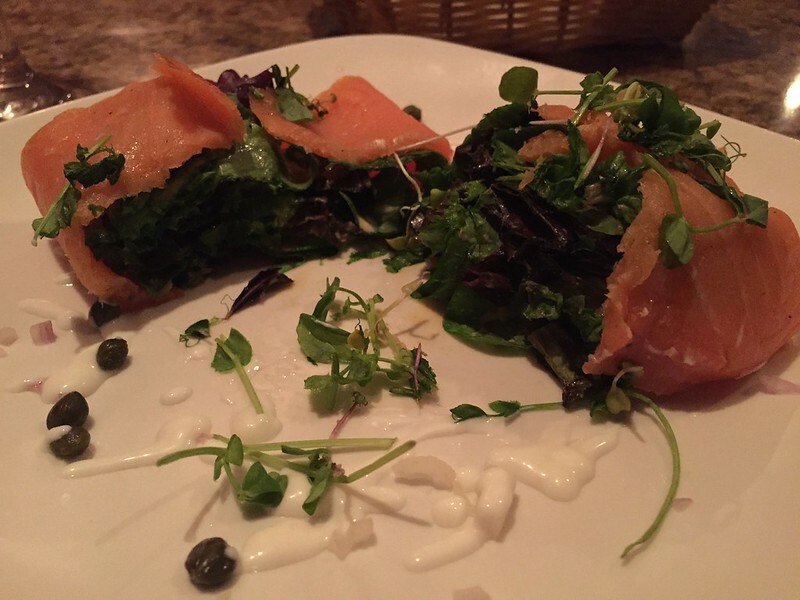 We had our usual smoked salmon salad, braised short ribs and duck two ways. We tried the blueberry bread pudding which had perfect bread pudding consistency and was delicious. I think some may find the service a little slow but it has weirdly become part of the experience for us. We’ve learned to ask for bread upfront and then sit back and relax. We bring a half bottle of Prosecco to start in case it turns into a more leisurely night and are stretching the wine. I’m happy to report that they have steadily become busier over time. It’s just a fantastic neighborhood option.